well, the packers didn't finish today, so they're coming back tomorrow >.< ... that's along with all the other eight million things i have to do to get ready to leave! i can't wait until we are off on our journey!! today we have the final polish in Layla's Hologram Effect collection, Mermaid Spell. it's a beautiful light blue with a super strong linear holo. i used three coats for full opacity, but i am painting my right hand with my left hand so i'm not at my most dexterous. i didn't use a base coat at all, i think the polish definitely applies best that way! it's the smoothest when nail are thoroughly buffed before application, but since my nails are out of control i don't want to thin them out even more with a buffer! 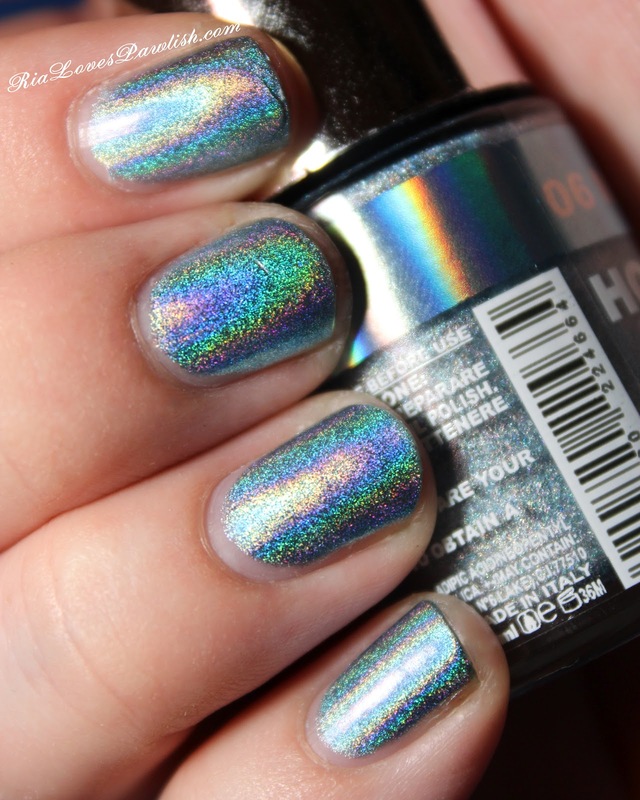 Oh how I love holos! I have way too many and still not enough! they are, in a word, YUMMY!